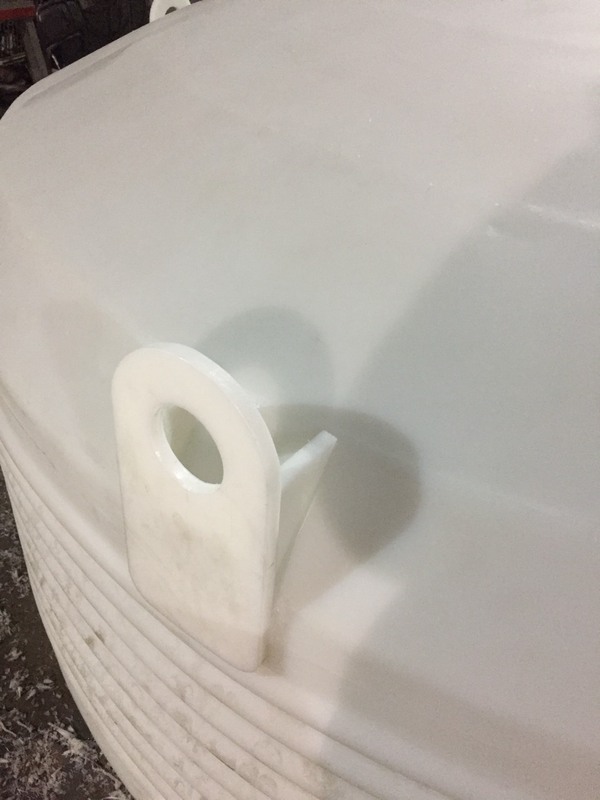 Sometimes it is very difficult to find the tank that meets your requirement. 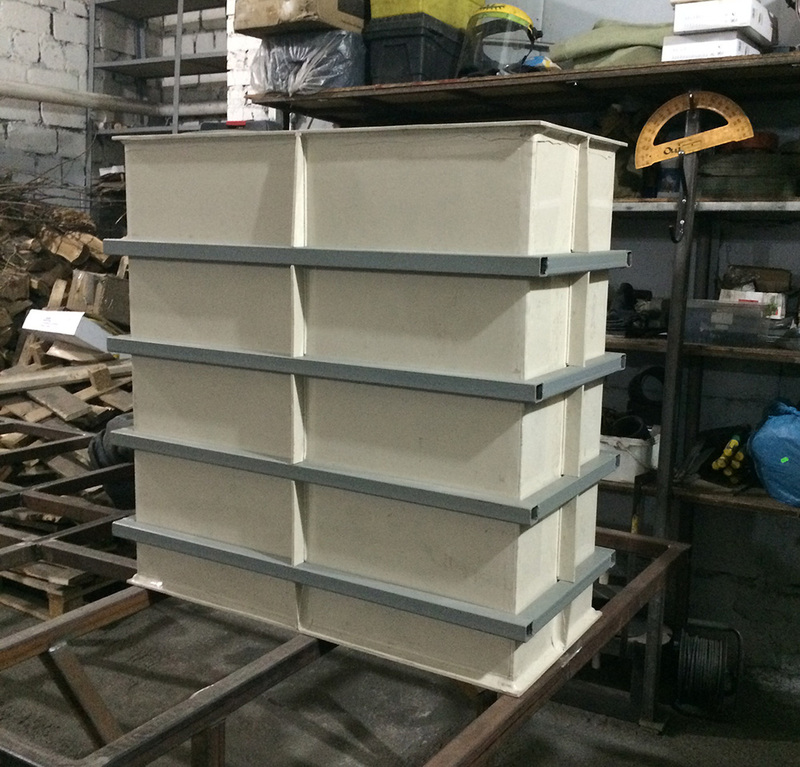 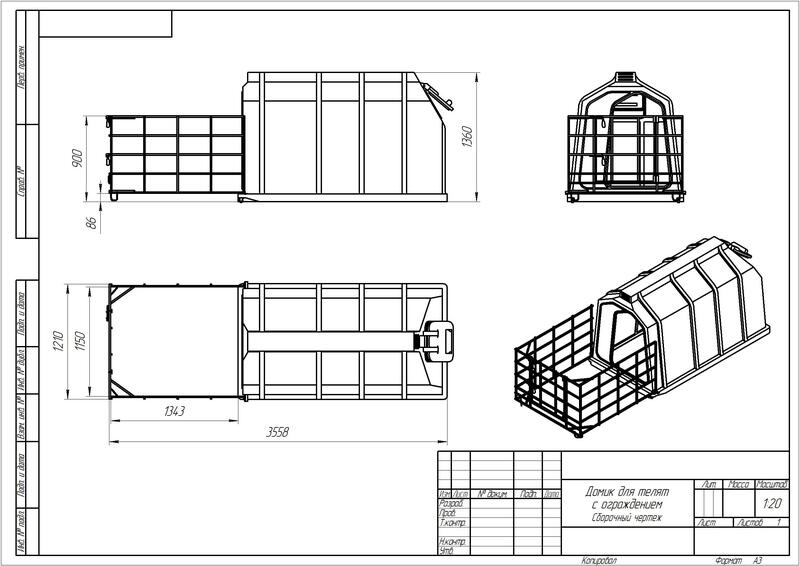 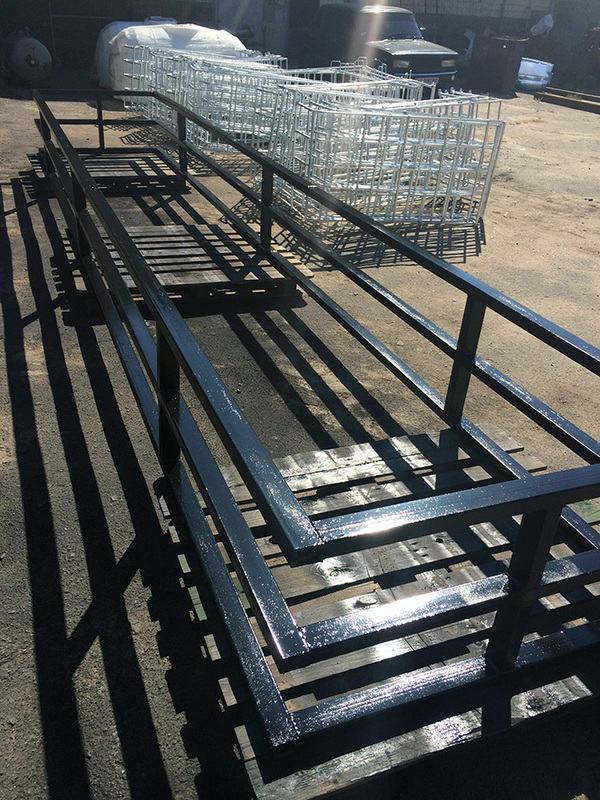 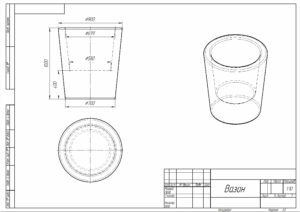 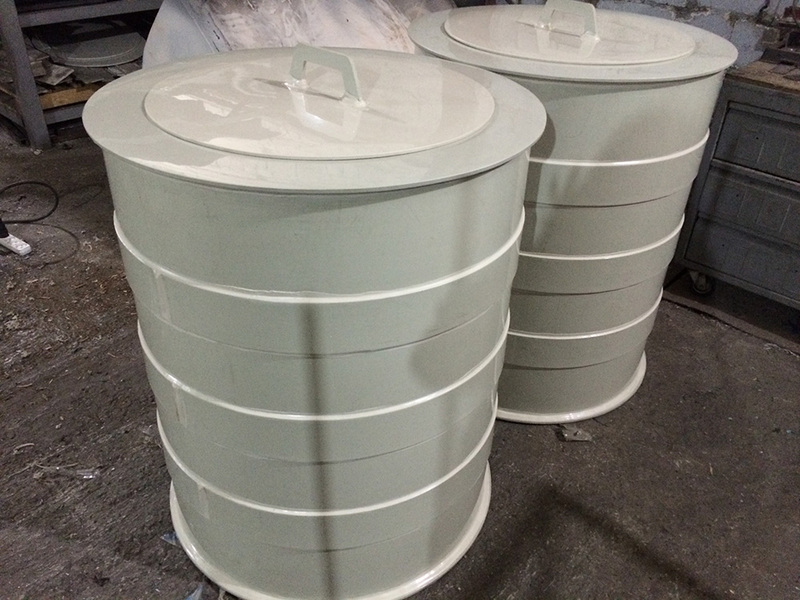 In this case, you can order a container for industry in our company. 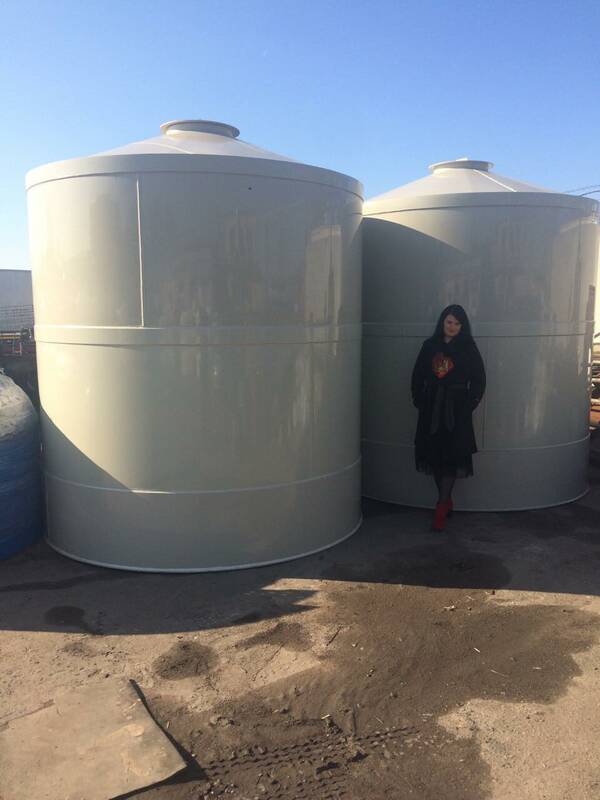 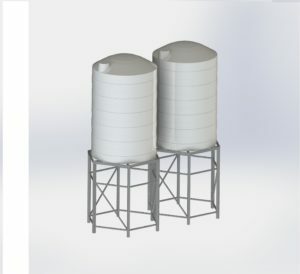 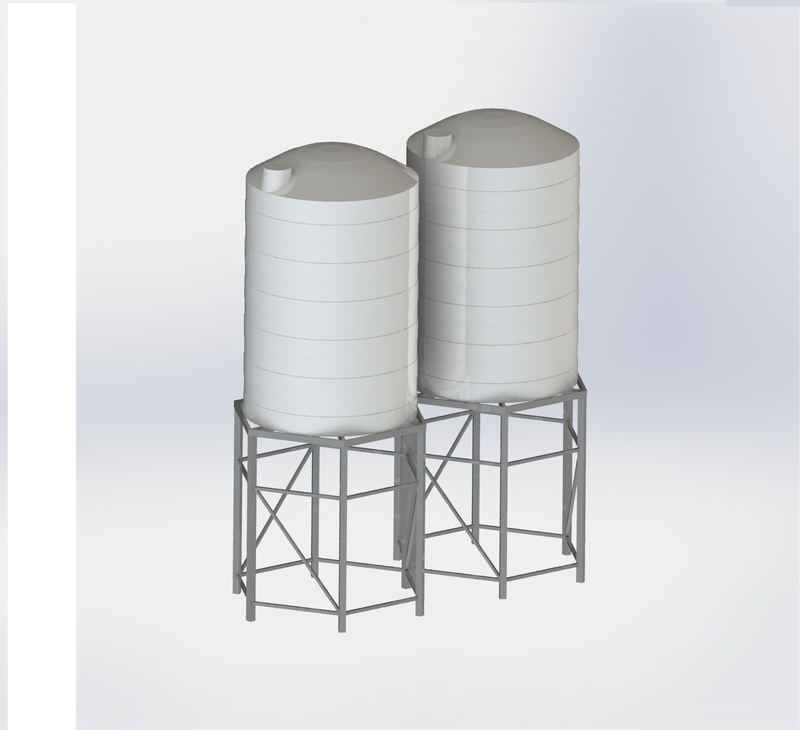 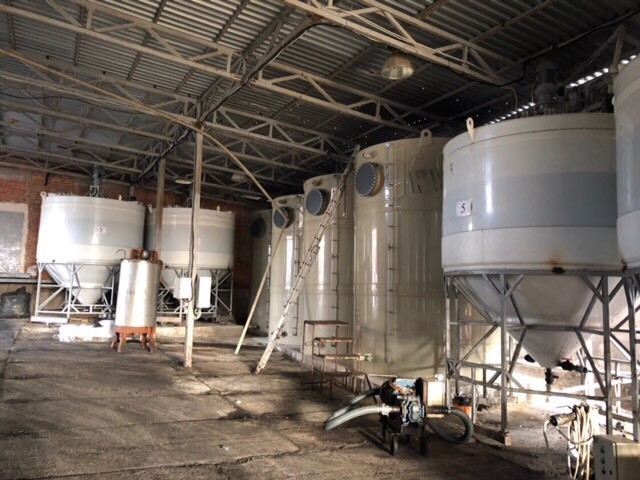 For these purposes, our factory has been developed and launched in the production an exclusive line of industrial tanks. 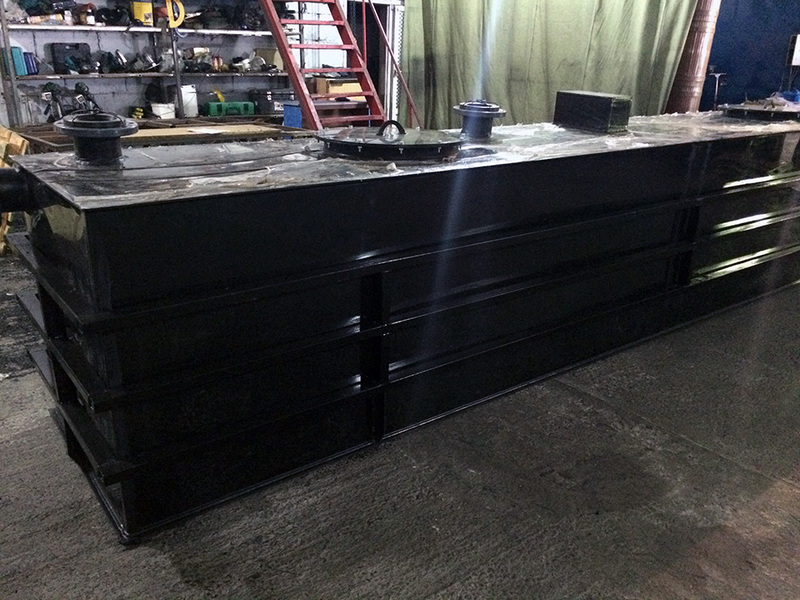 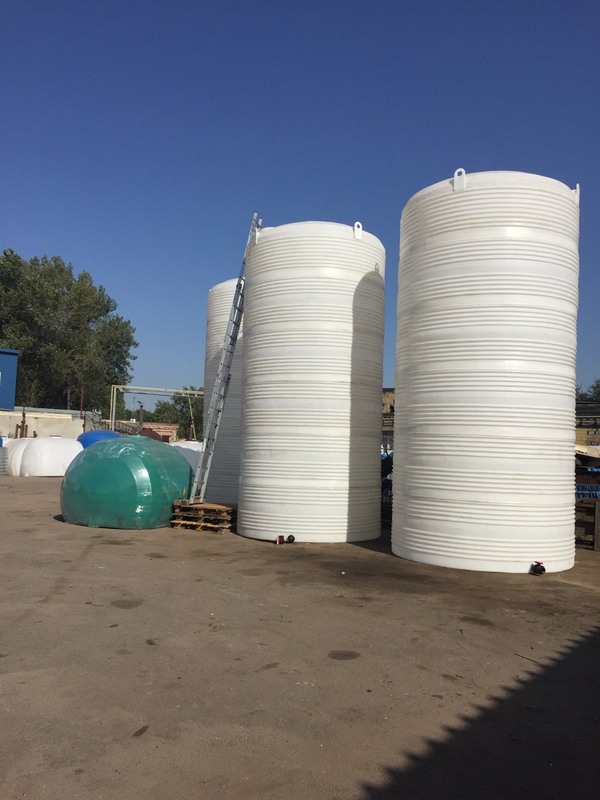 We produce standard tanks and tanks for your individual designs. 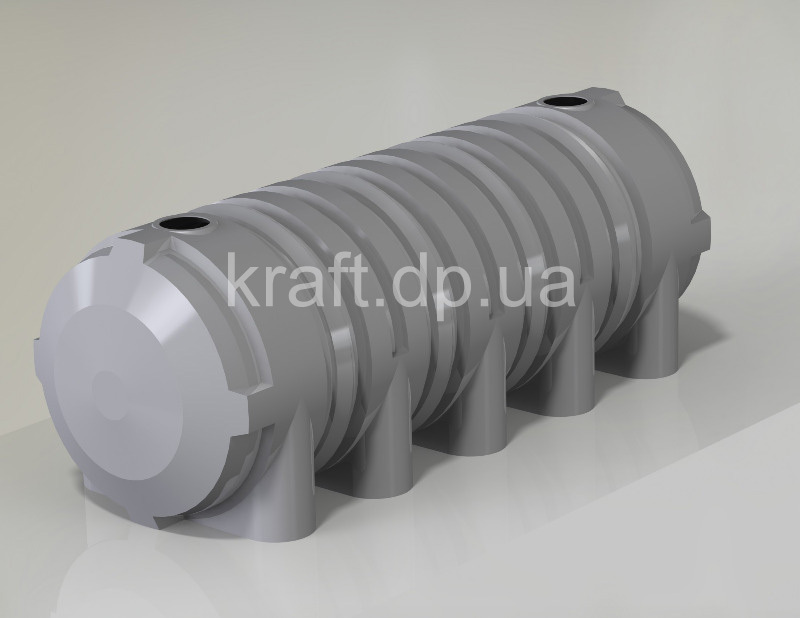 Clients of our company are the large industrial companies. 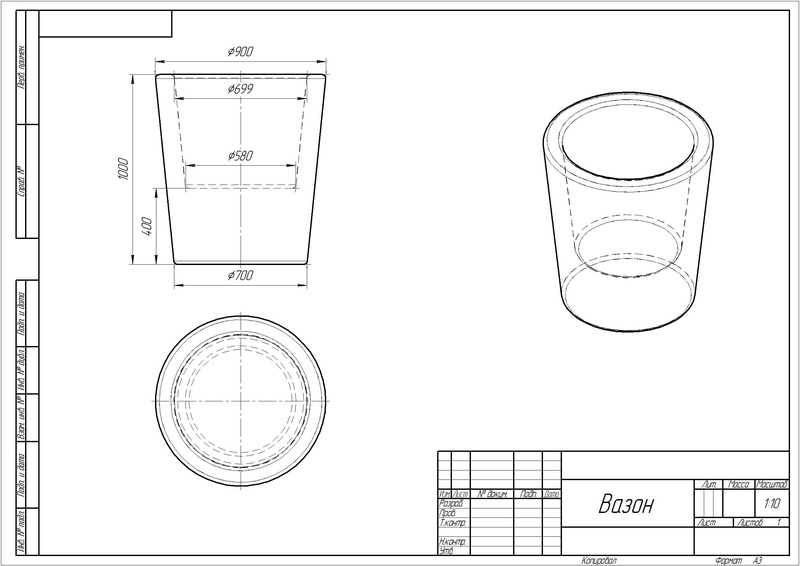 We use high quality plastic that complies with ISO 9001: 2008. 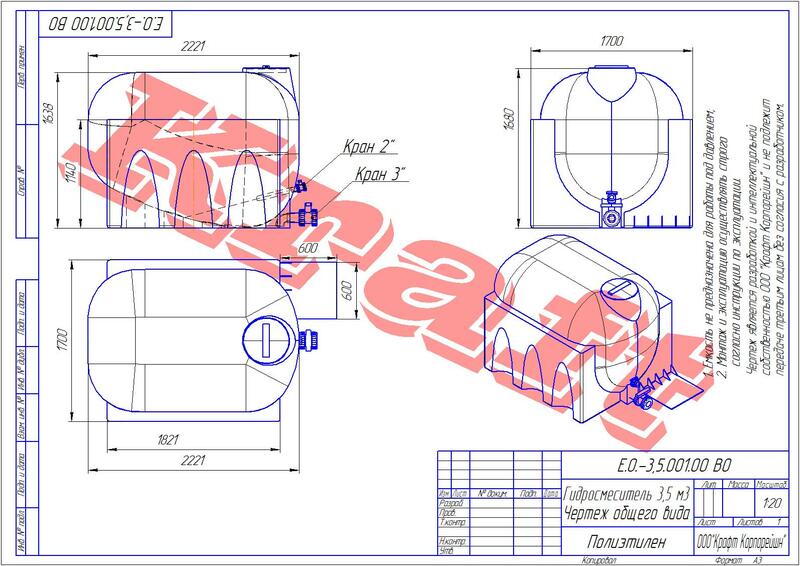 All accessories are certified and meet the highest quality standards. 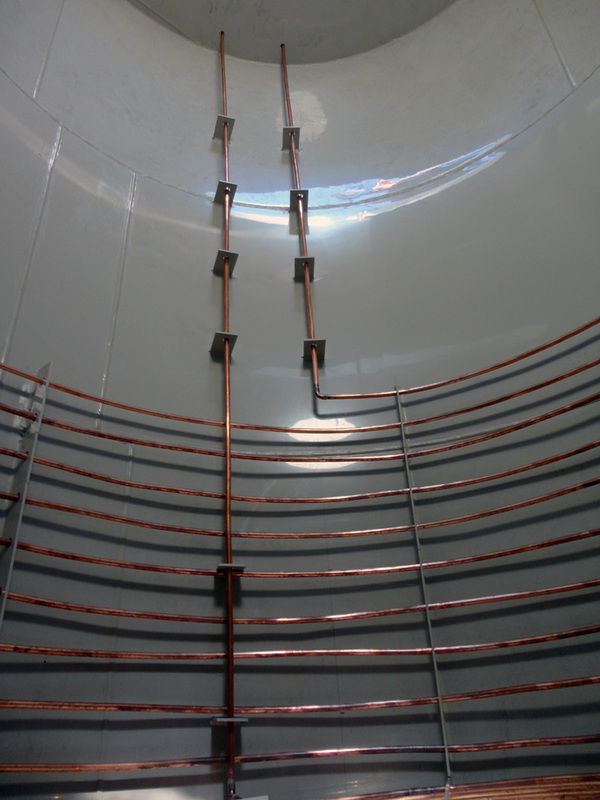 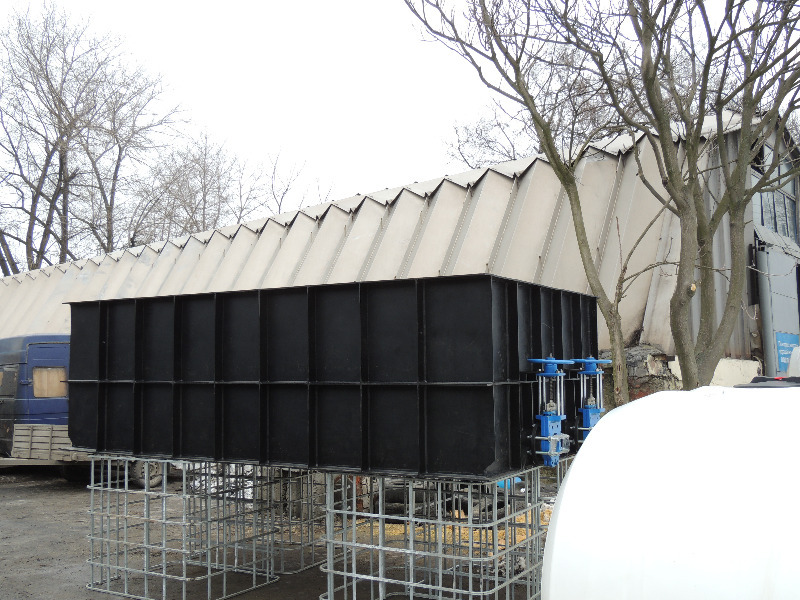 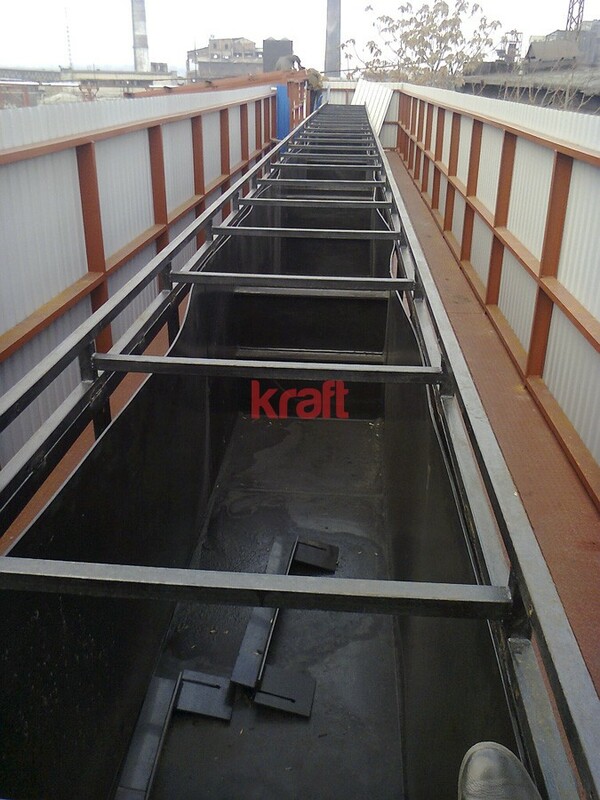 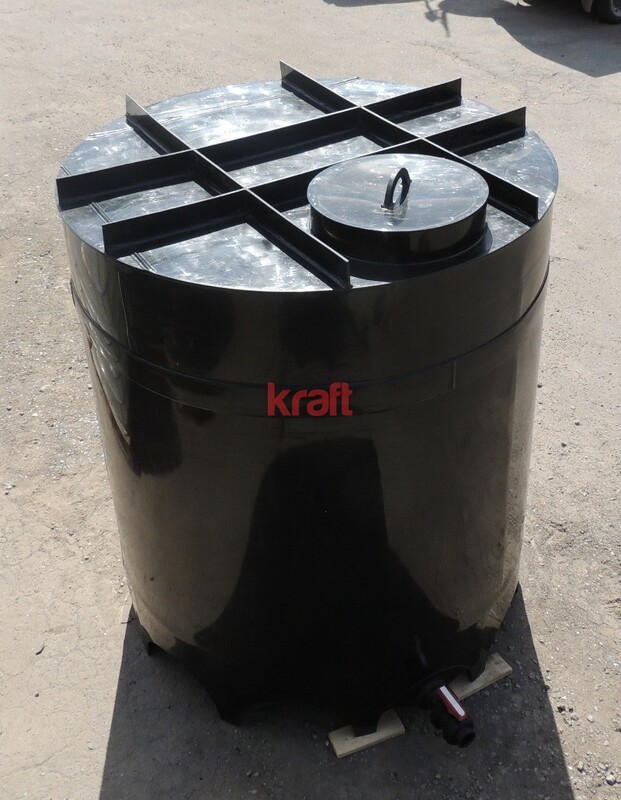 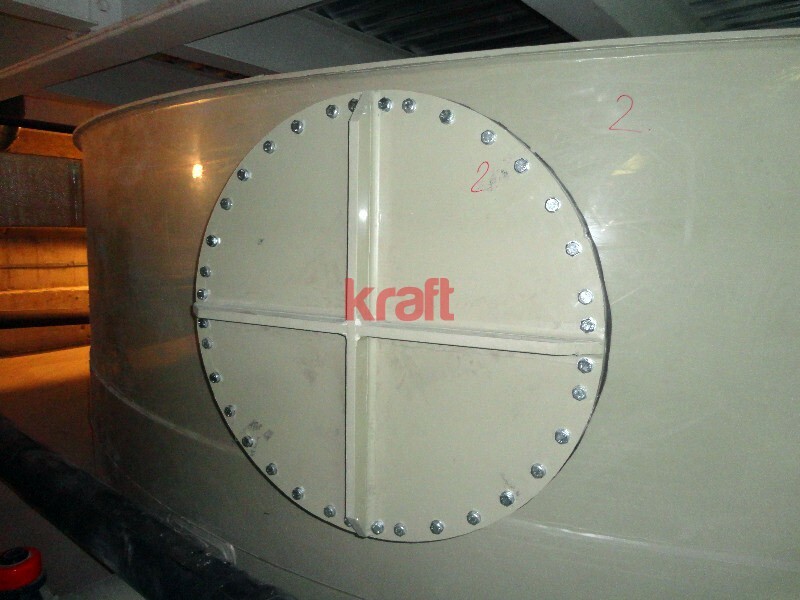 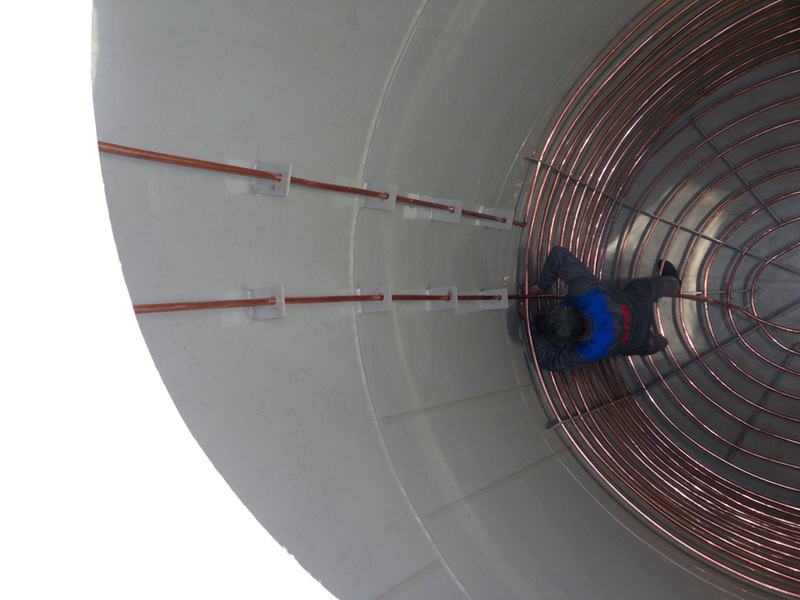 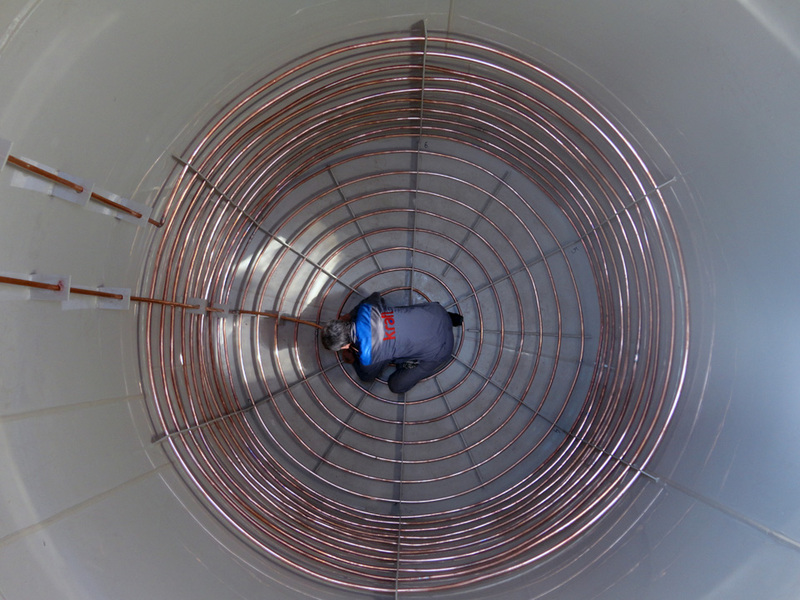 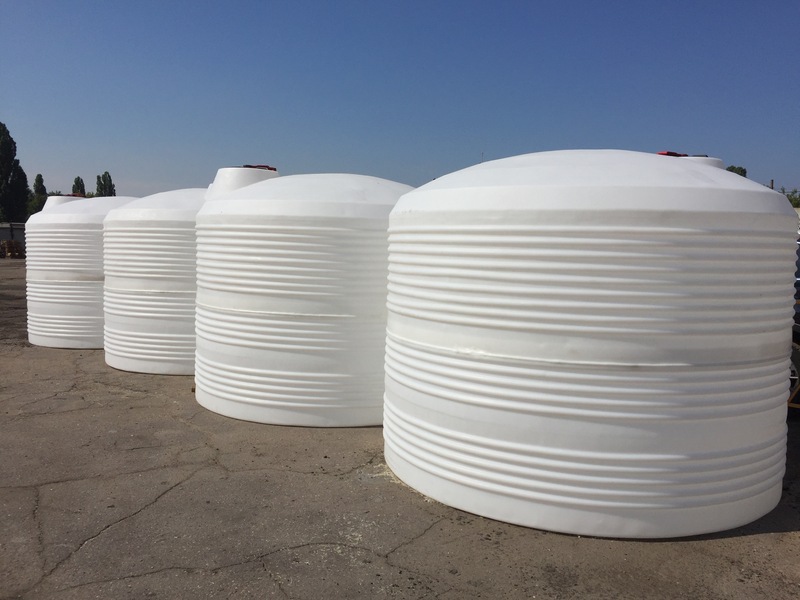 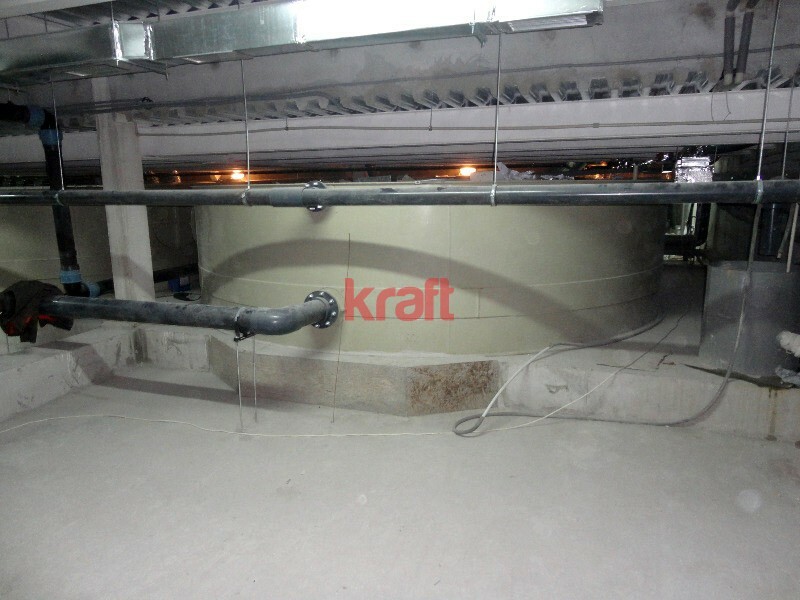 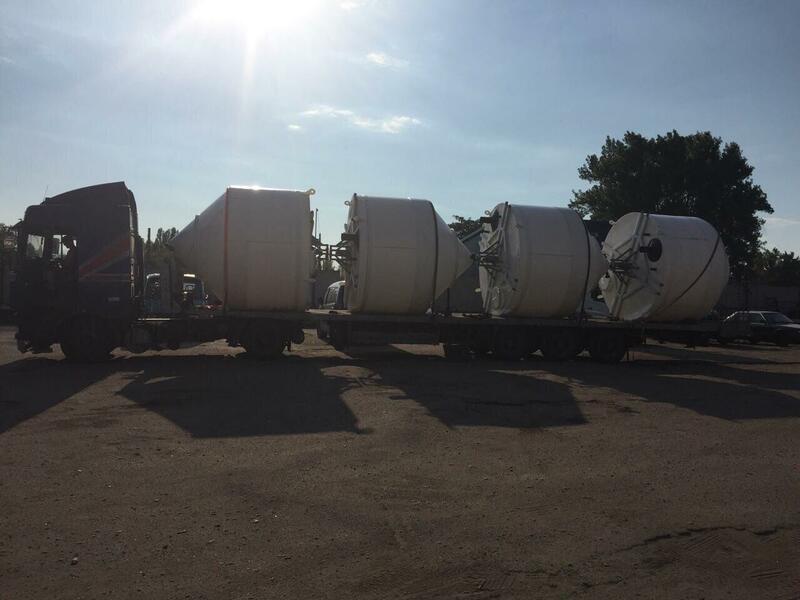 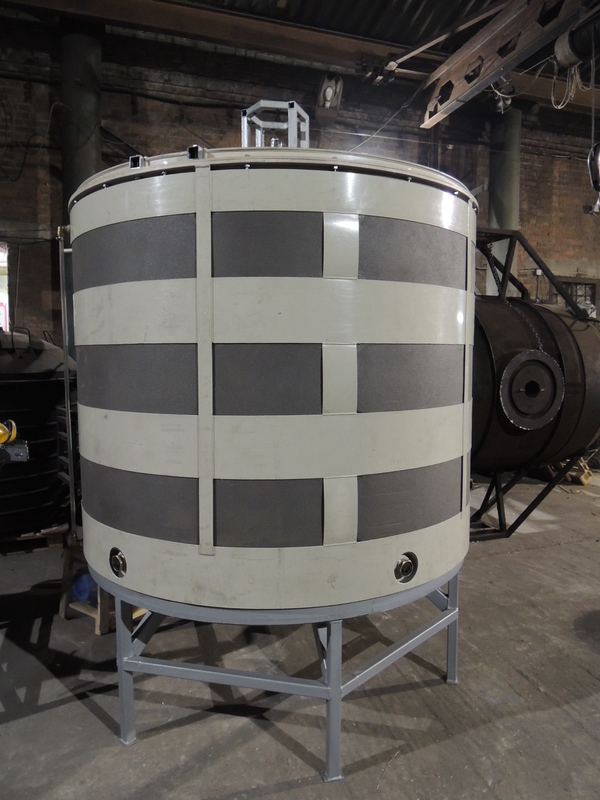 Our tanks have a special shape that provides ease of use and maintenance. 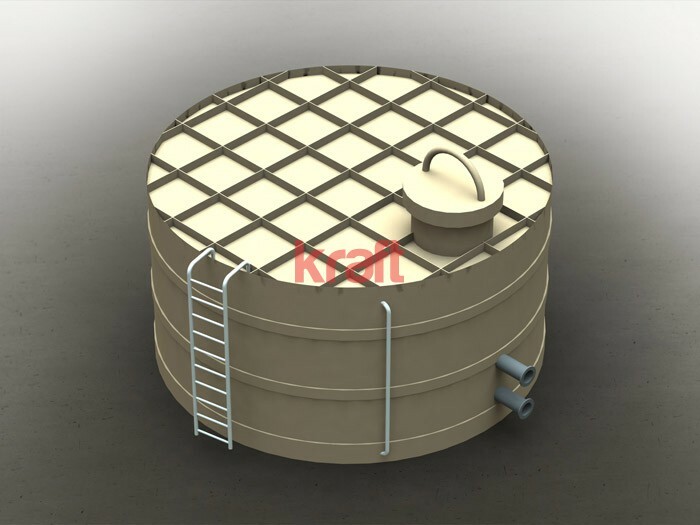 All tanks are equipped with the findings of the lower drain from ½ to 2′. 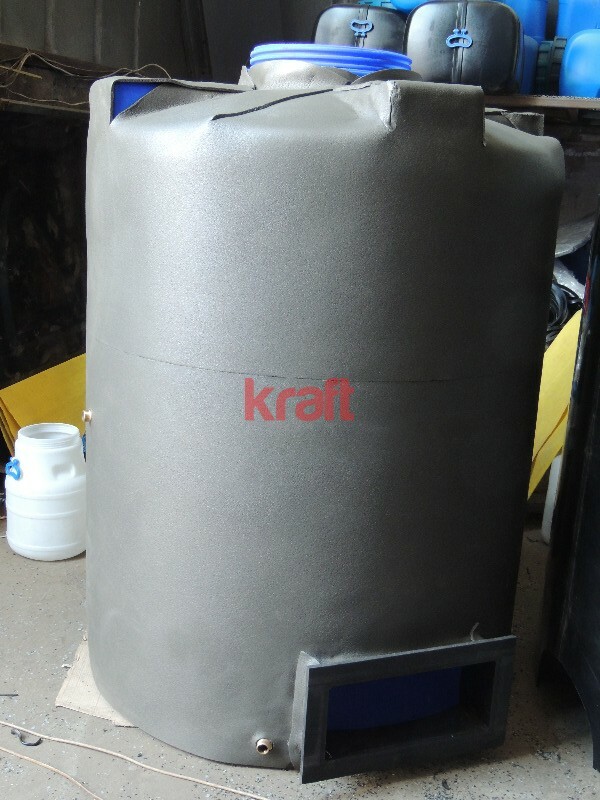 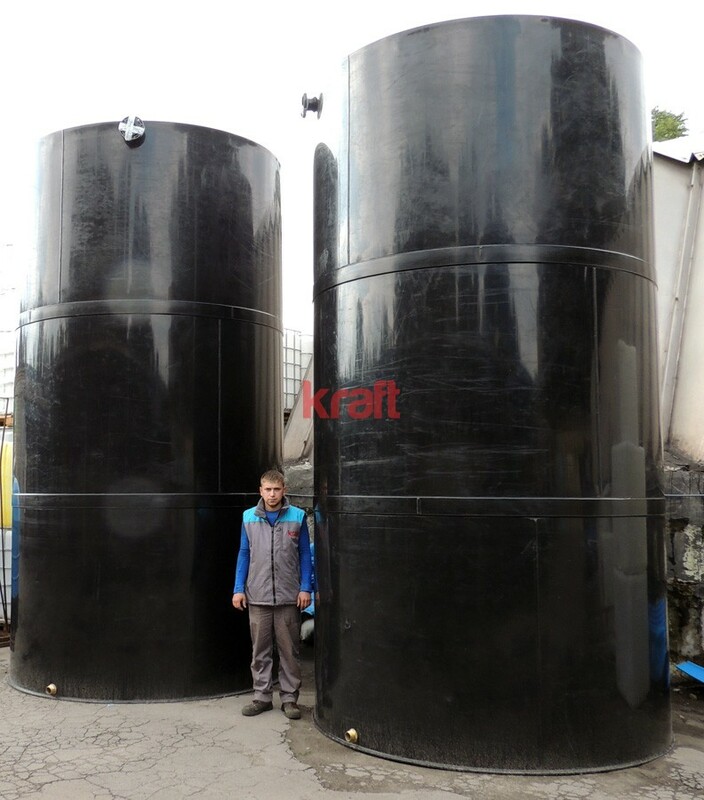 Special tanks are made of impact-resistant plastic. 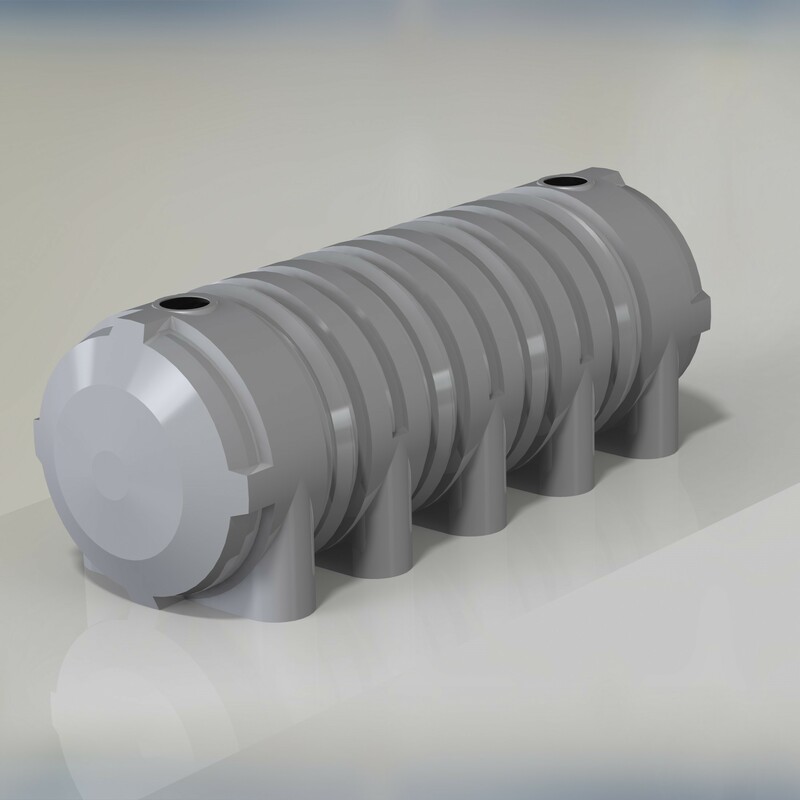 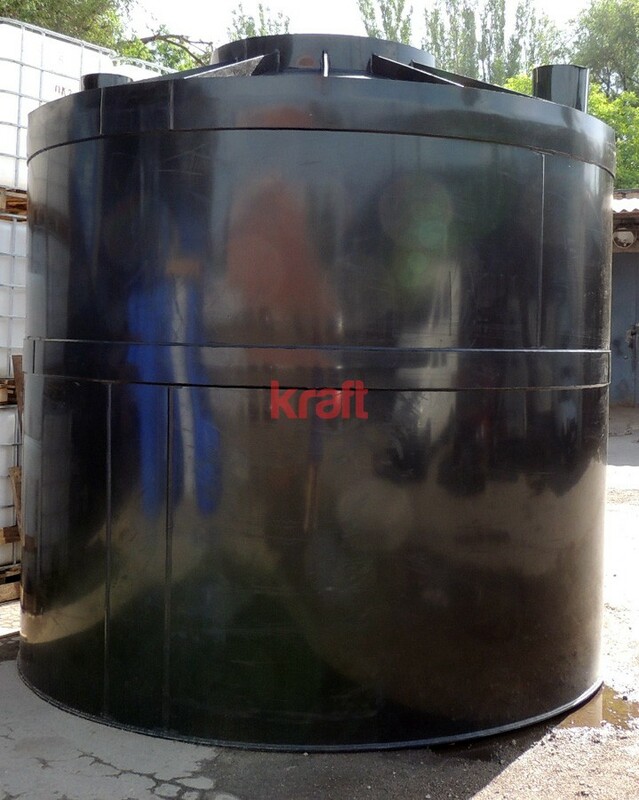 Operating temperature range: from -30°C to + 60°C for standard tanks and to 95°C for special tanks. 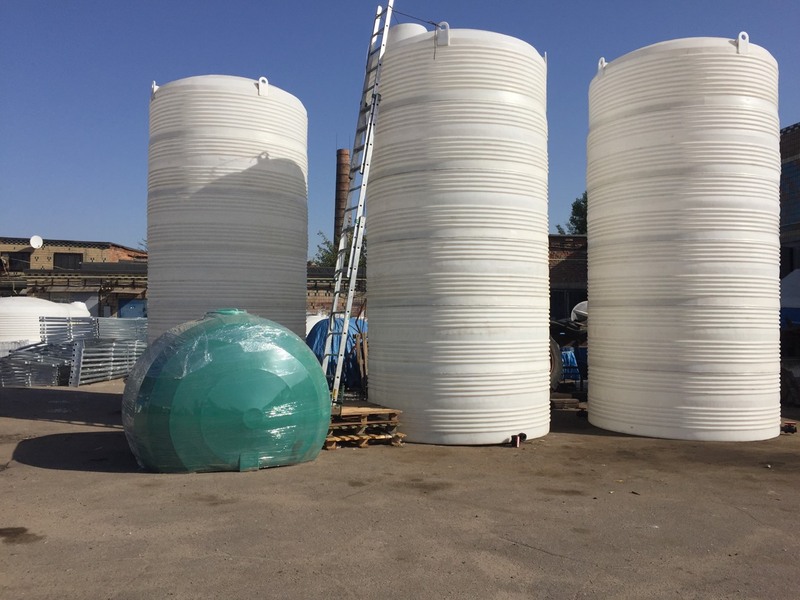 Polyethylene is 100% resistant to UV rays. 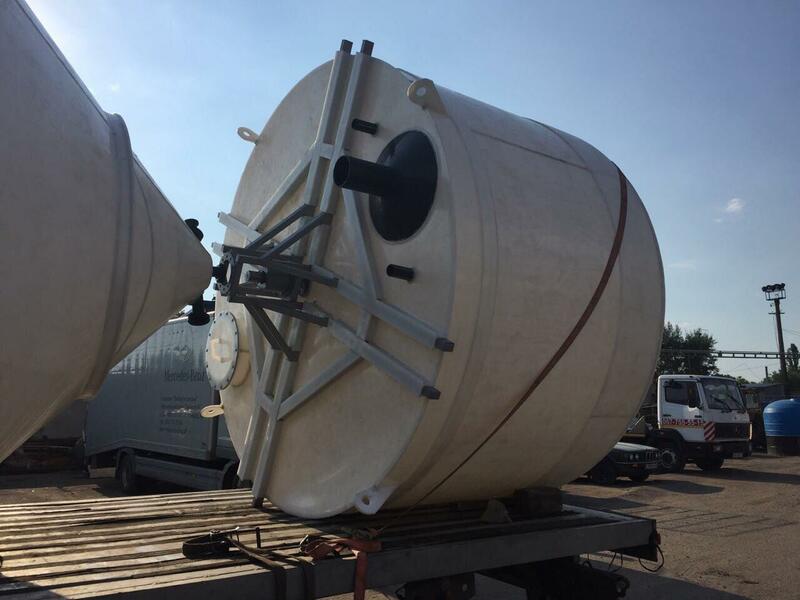 The modulus of elasticity is from 700 MPa to 1200 MPa, depending on the type of tank. 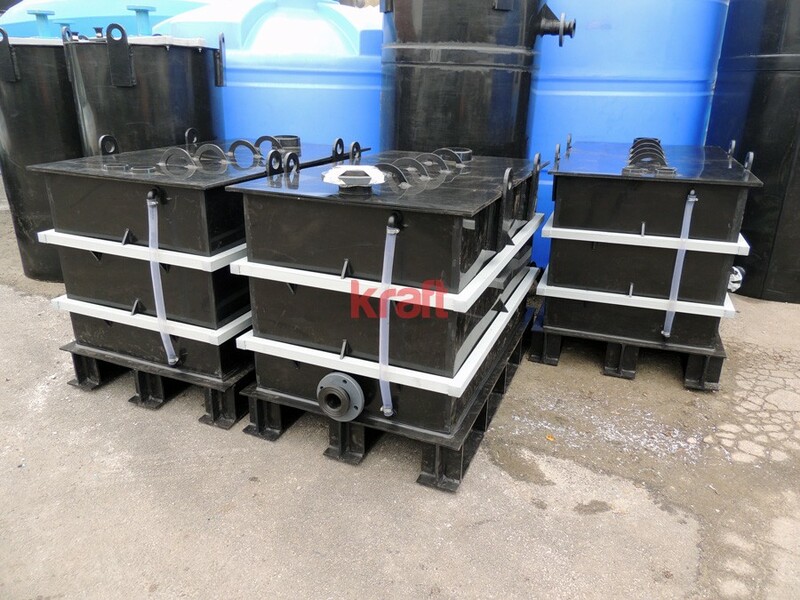 The yield strength is from 17 to 22 MPa, depending on the type of container. 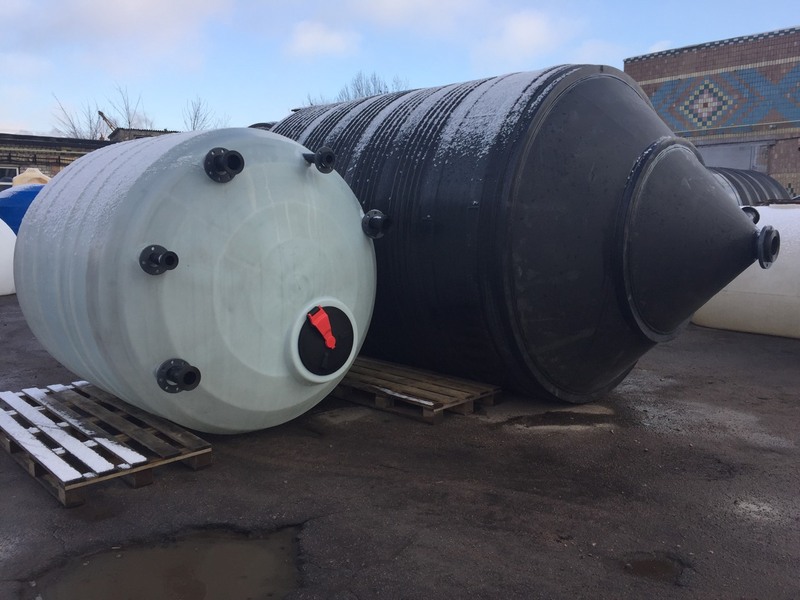 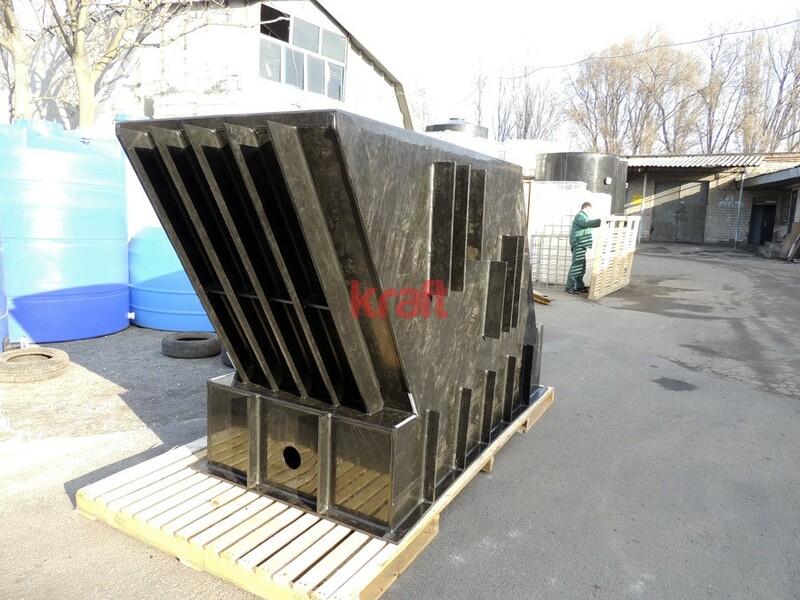 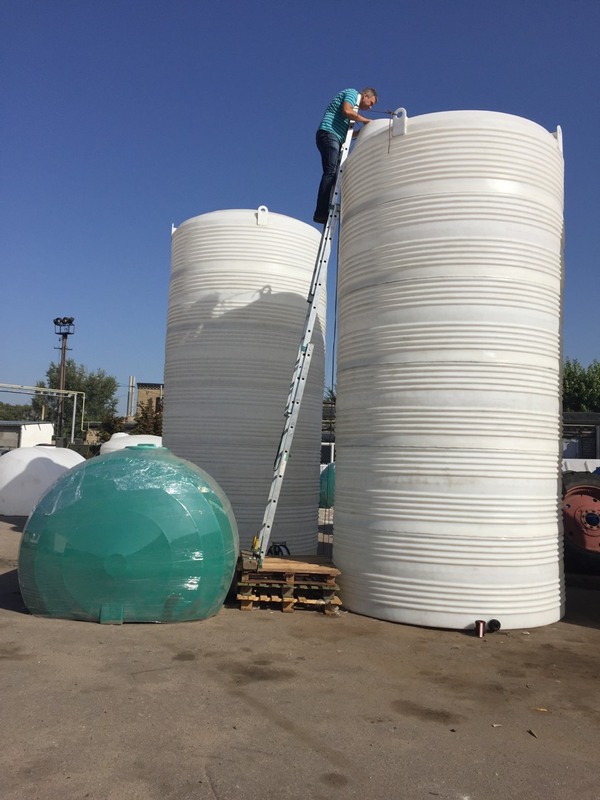 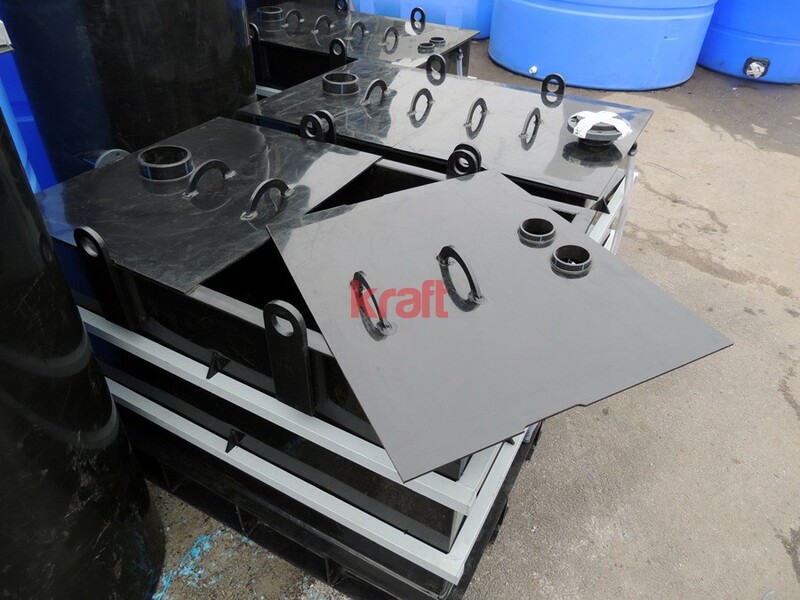 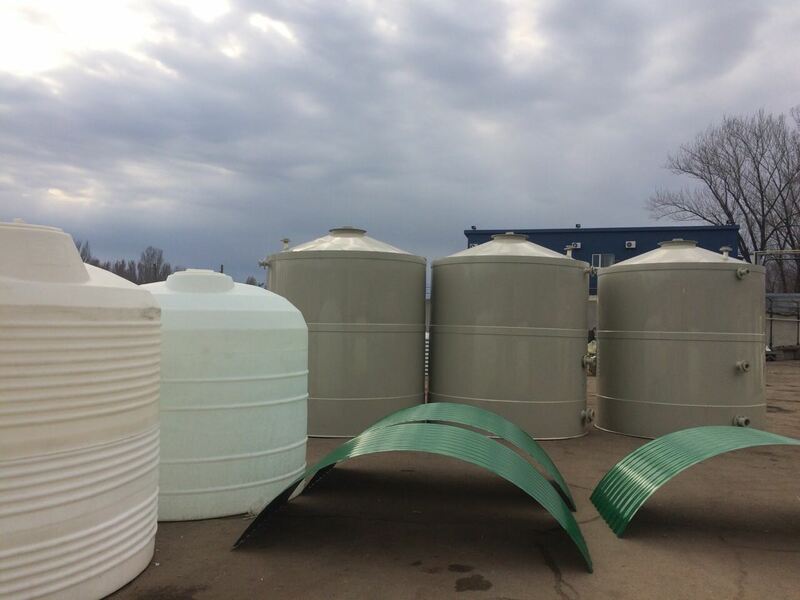 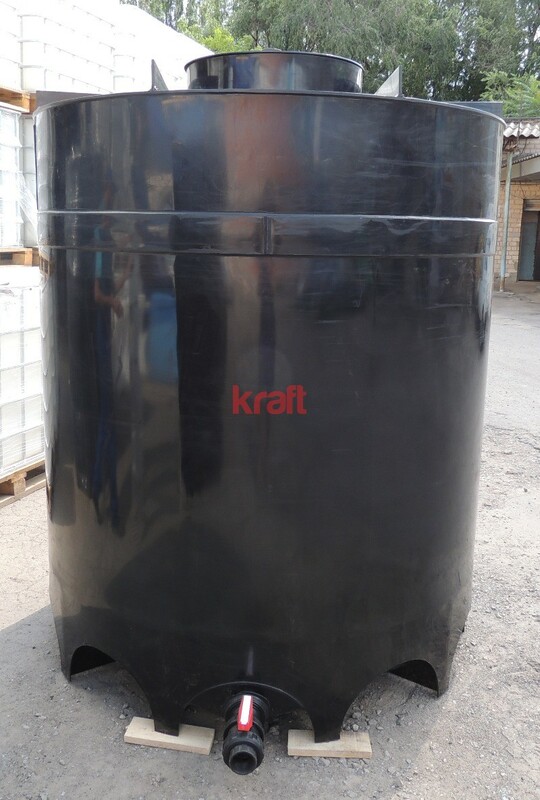 Among the wide range of vertical, horizontal, square tanks you can choose a low-cost water tank for domestic use as well as a special high-tech tank for your company. 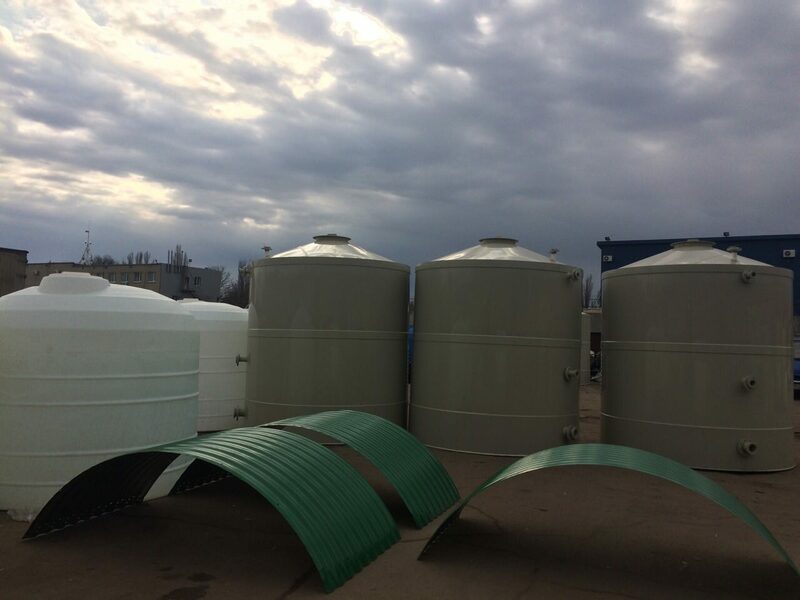 The price of our tanks depends on the volume and accessories. 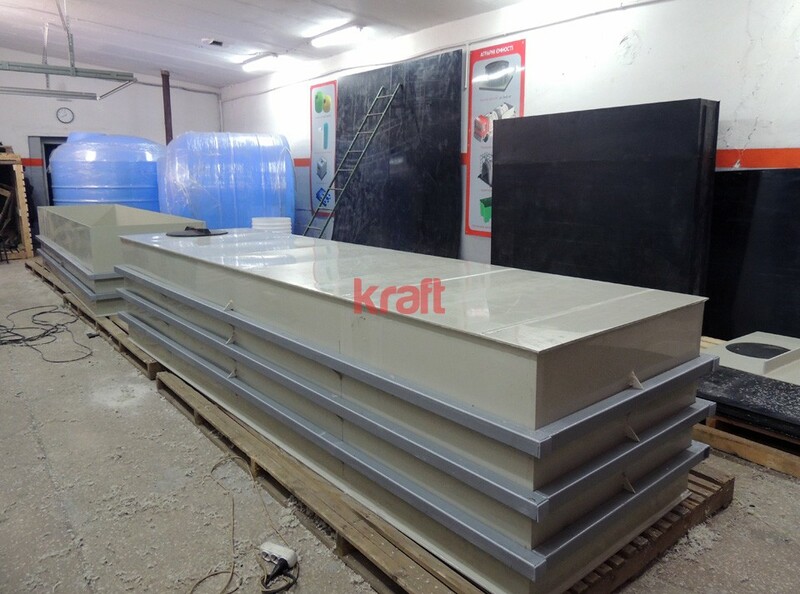 You can be confident in the quality of our products. 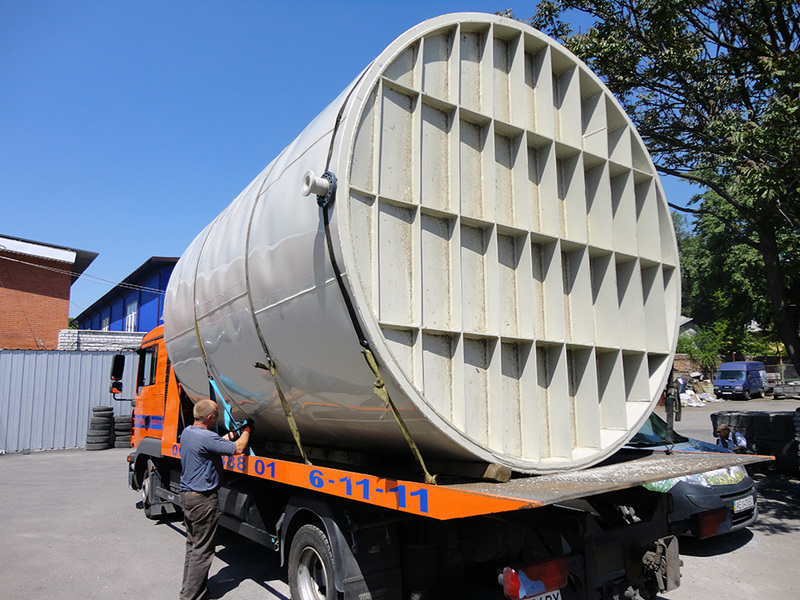 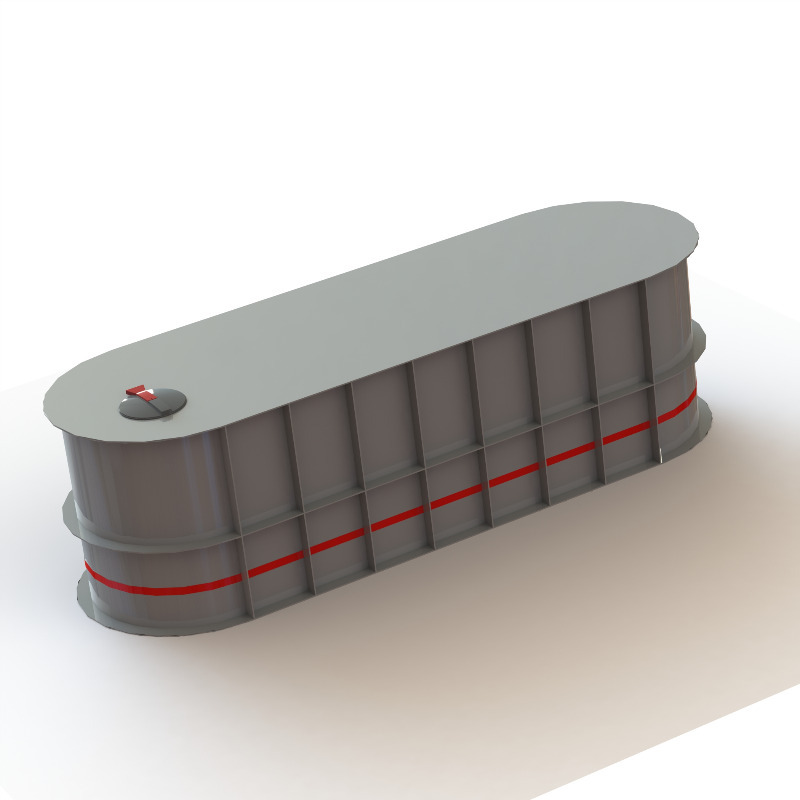 Highly qualified engineers have a wide experience in designing tanks. 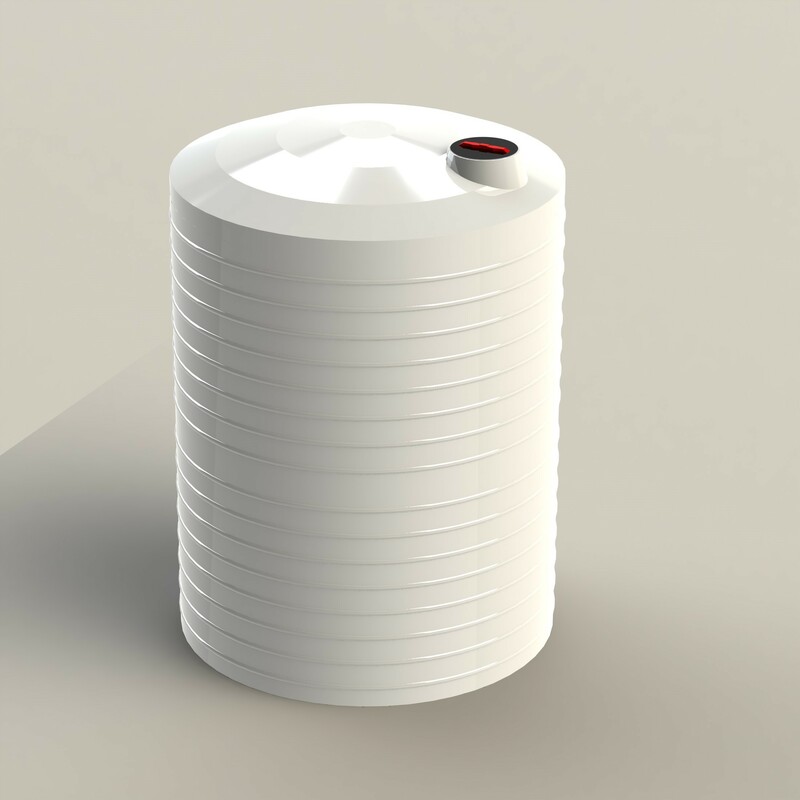 We design and manufacture tanks more than 10 years. 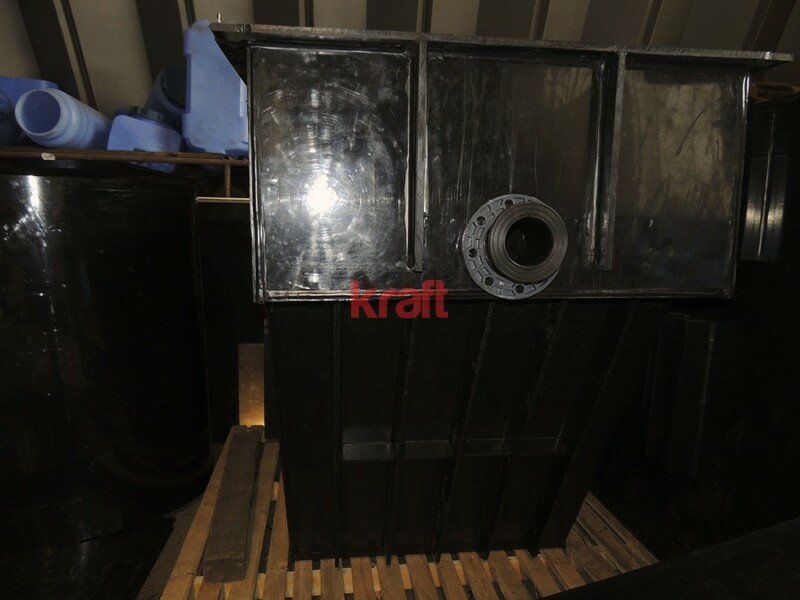 We use the technology of extrusion welding of polymers. 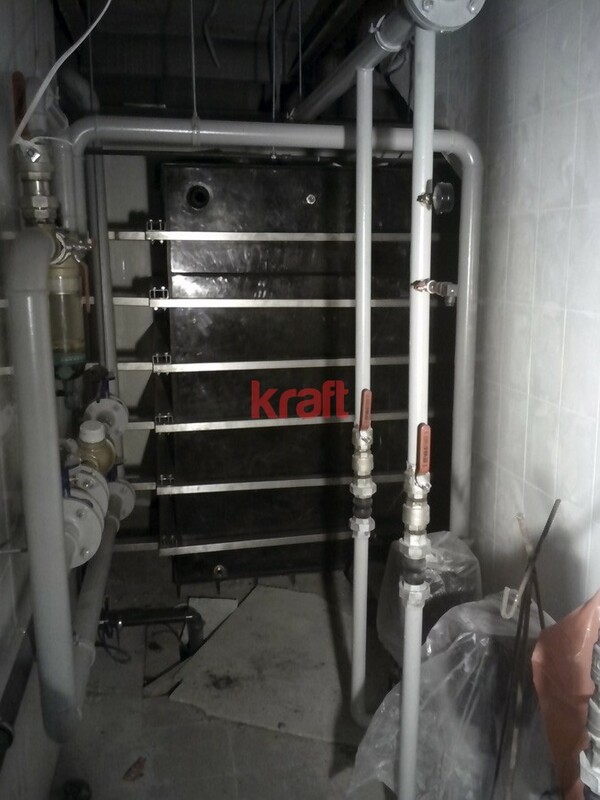 Because of this we can guarantee high quality and long service life from 20 to 40 years. 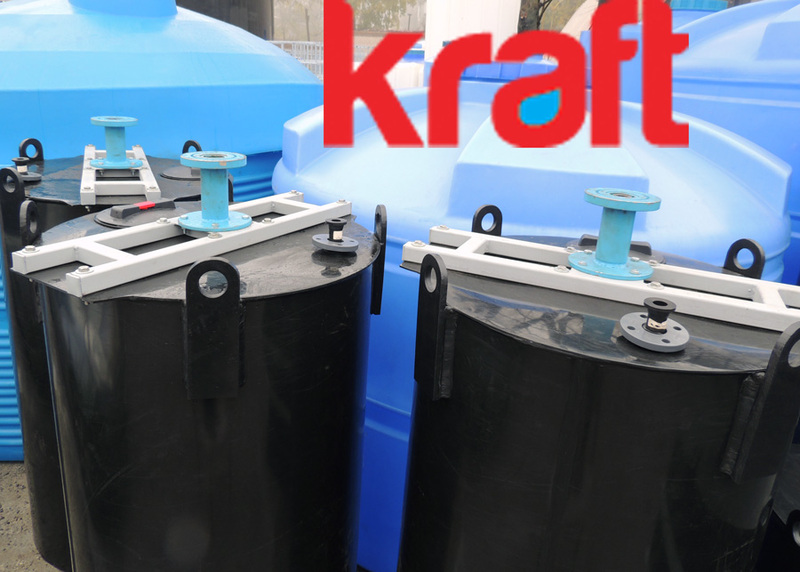 Product warranty from 2 to 5 years. 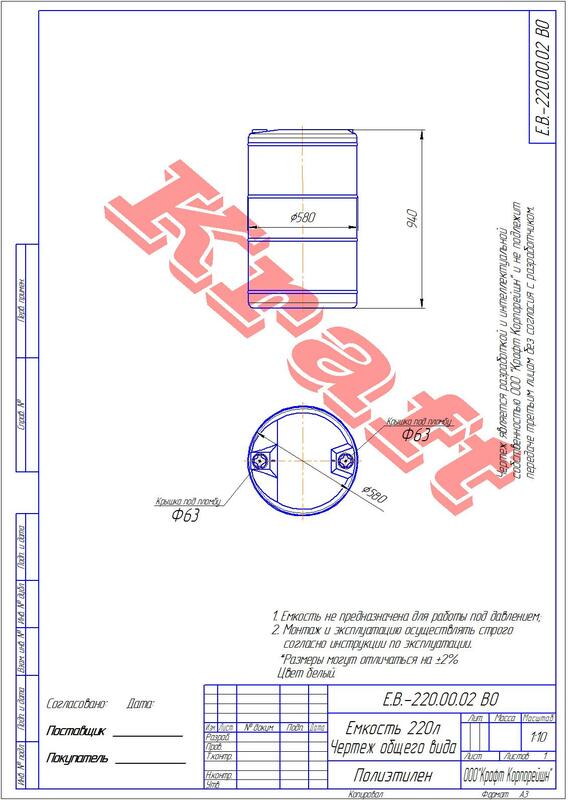 Full warranty and post-warranty support. 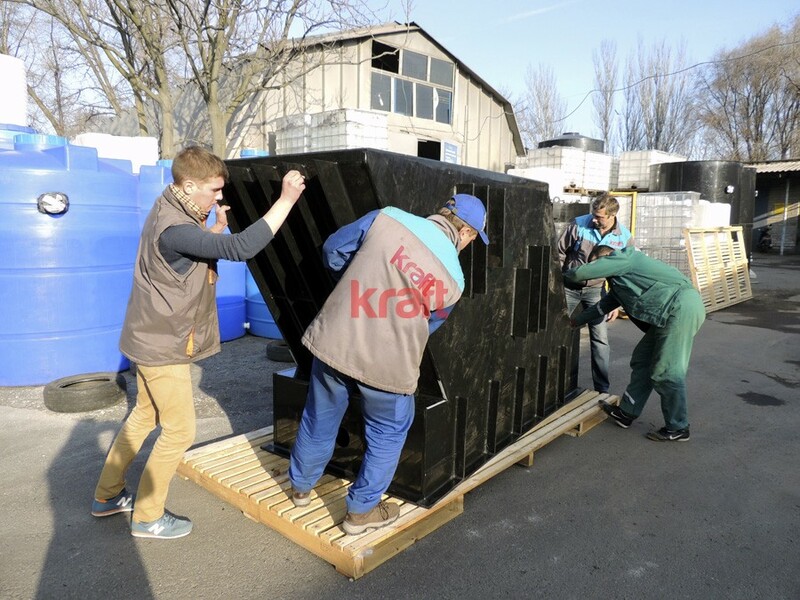 We can deliver tanks in Kiev, Kharkov, Lviv, Odessa, Zaporozhye and other regions of Ukraine. 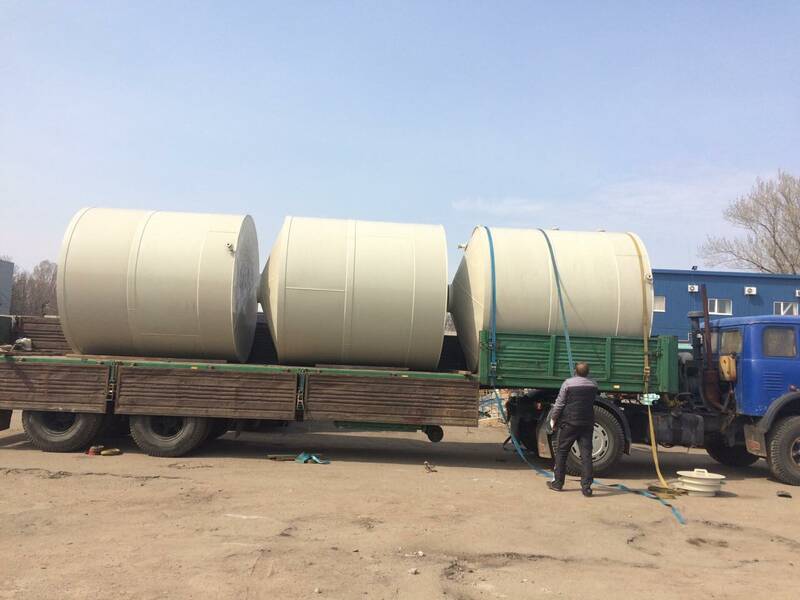 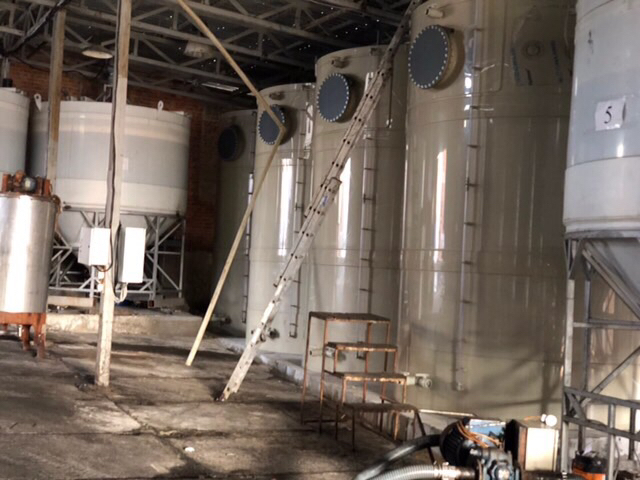 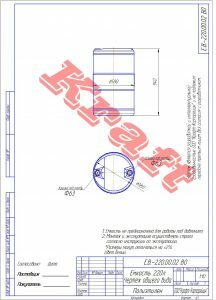 You can order the industrial tanks in Dnipro. 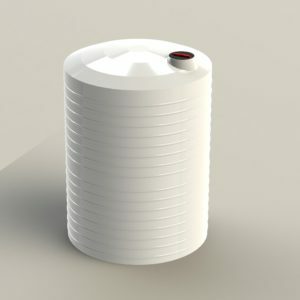 You can get a free consultation at any time.